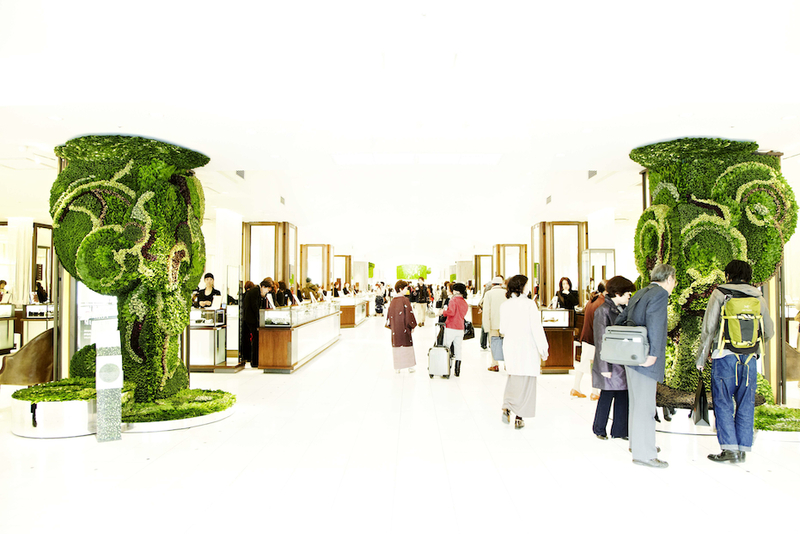 Designed by floral artist Makota Azuma, “The Art of Plants” exhibit is an installation that grows within one of Japan's oldest department stores, Isetan Shinjuku. 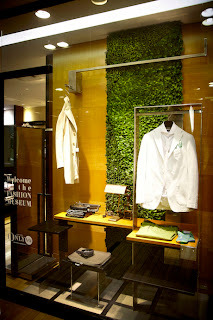 Columns of clothing displays and walls are intricately covered in lush greenery. 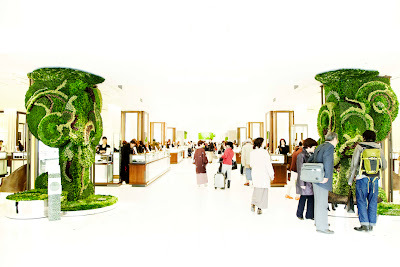 Drawing a parallel between consumerism and the art of greenery. Azuma is the head of AMKK, a company which focuses on developing Azuma's experimental creations. 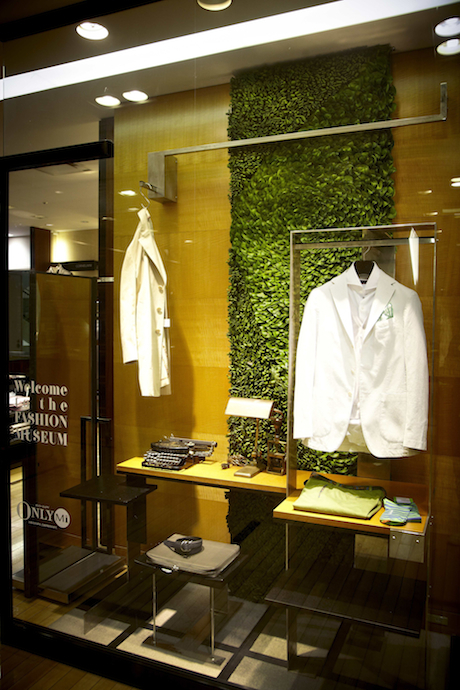 This exhibit sees him using rich plant patterns that line walls and sit in window installations. Azuma has also designed mandalas that mimic the design of chandeliers which hang from the ceilings. These complex bunches of plants has the living 'Art of Plants' installation take a more animated approach to department store decals.